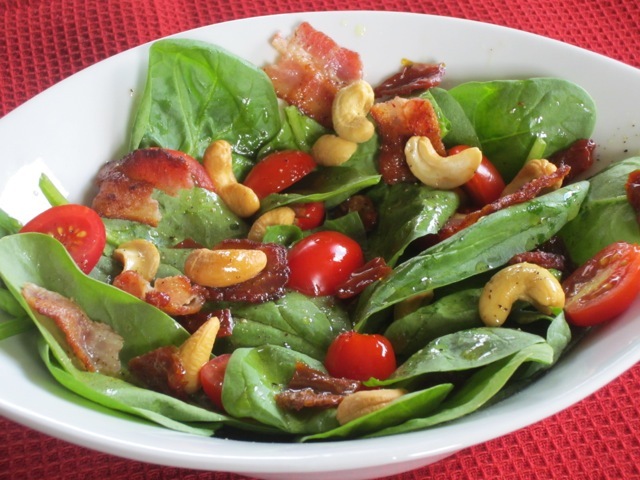 I want to share a salad with an irresistible combination of ingredients. First of all there is roasted and salted cashew nuts, a favourite ingredients in stir-fries and Asian cuisines. Cashew nuts have a delicate flavour, a lower fat content compared to other nuts and a considerable amount of starch and are therefore used in thickening soup, stews and curries. Then there are also sun-dried tomatoes in olive oil, fresh tomatoes and bacon to sum it all up. The salad tasted exceptionally delicious. I had it for lunch with some braised chicken and grilled carrots. Carrot is a great substitute for fries and other starchy side dishes, because it has over 85% water by composition and lots of antioxidants and essential minerals. I hope the salad appeals to you the way it did to us. To make dressing: combine all ingredients in a jar and shake thoroughly to mix or whisk the ingredients in a bowl. 1 cup fully packed cup baby spinach is about 400g. What a lovely combination of goodness! MMMMM!!! Thanks!I wish you a fabulous weekend! The sun dried tomato and the dressing would be great too on their own. I wouldn’t mind that too. Have a wonderful week! Another yummy looking salad! Stop making me so hungry!! I have to visit your blog now. I’ve been procrastinating for too long. Thanks for coming here several times, despite my laziness. I really appreciate. Have a lovely weekend! Very nice salad, great and simple summer dish. 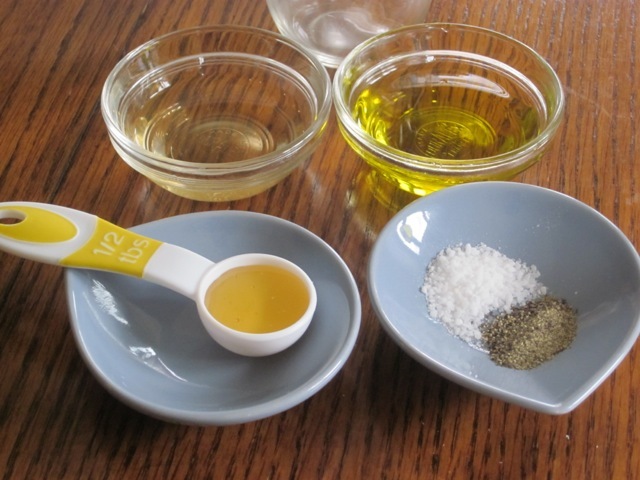 I particularly like this dressing recipe – I use these ingredients often in marinades and dressings. I’m glad you like the dressing, I love it too! 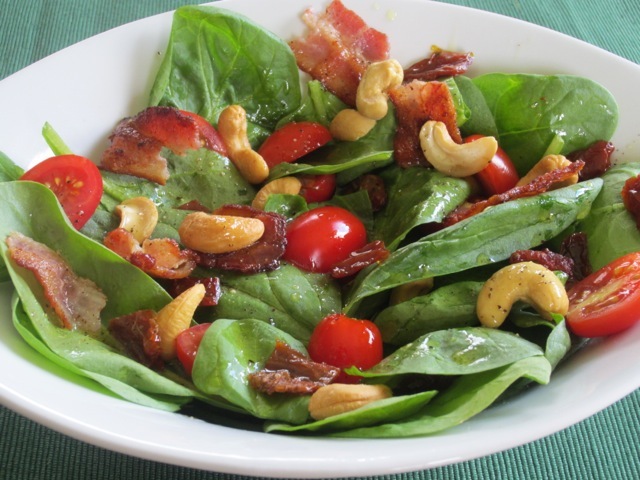 and bacon and baby spinach. Have a great week ahead! Thank you. I love this too, Sophie. We seem to share a lot in common. Best wishes! Oh, I sure could go for this yummy for salad today! I posted a salad too, today! Yours is tasty and colorful, I like it. What do you think about mine?! Let me look at your salad just now. I’m sure it looks great. thanks and enjoy the end of the week! YUM. i love this recipe so much! definitely one i will be adding to my meal planning this week, love the flavour combo. thanks liz for the great recipe and ideas. I am so glad you love the recipe. I hope you find time to try it. Wish you all the best! Another goodie! 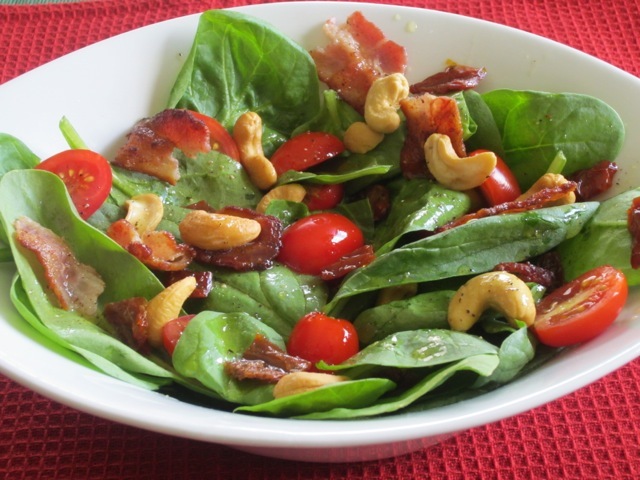 I think I almost like baby spinach in a salad over some of the lettuce varieties. 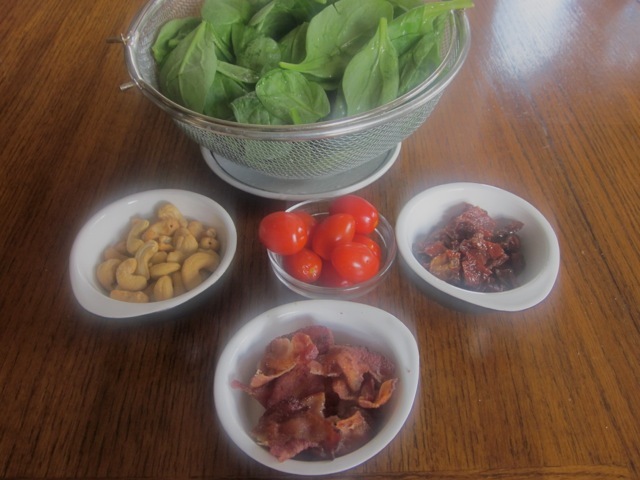 And of course once you add bacon….it’s just going to taste good! All my favorite foods. 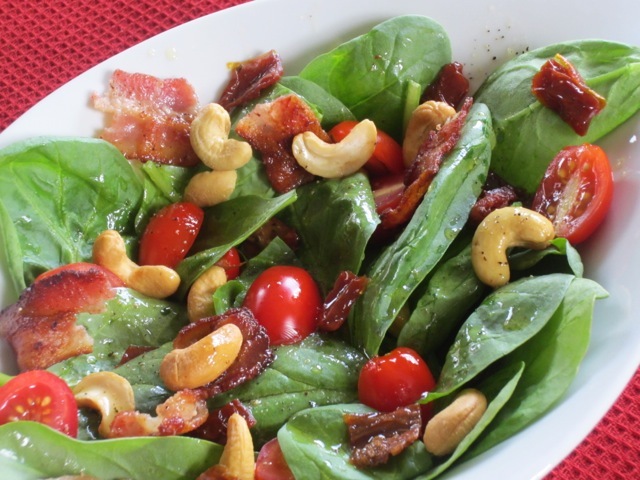 I love these simple recipes for salads when it’s too hot to cook! Thanks again Liz, a winner for sure. I had this for my lunch today. It was ever so good, with some grilled cheese and tomato sandwich on the side. I enjoyed my lunch and the weather is cool and amazing. Enjoy the end of the week! I can smell that crispy bacon! yummmm! Ha ha. I’ve just had dinner with bacon in it. I smell it in reality!